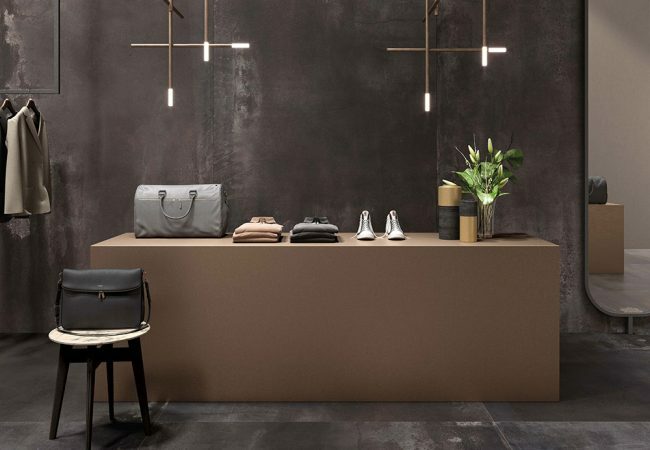 Large Format Tiles Melbourne | Pavé Tile Co.
At the forefront of ceramic innovation is large format porcelain panels/sheets. 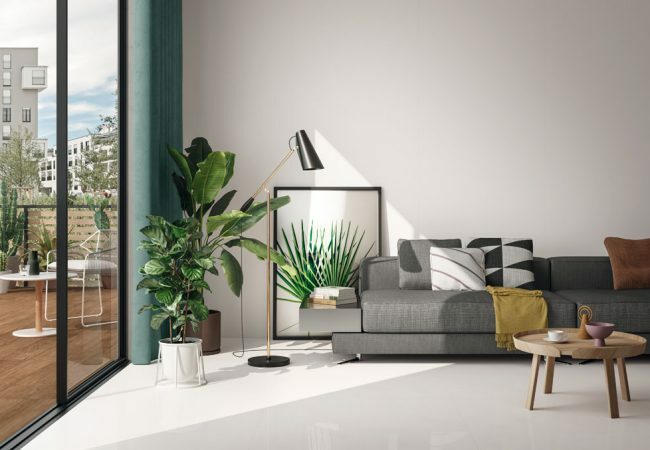 Slimline porcelain sheets have been designed to create seamlessness in contemporary architecture for spaces wanting originality and visual impact. 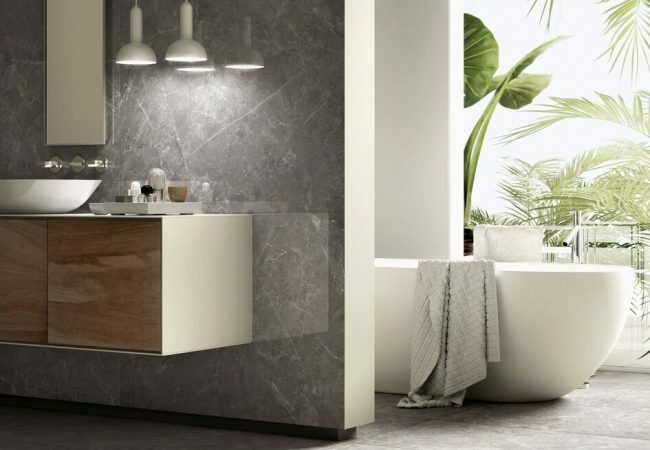 Thin porcelain provides the perfect solution for bathrooms, large floor areas, outdoor cladding, and kitchen splashbacks. 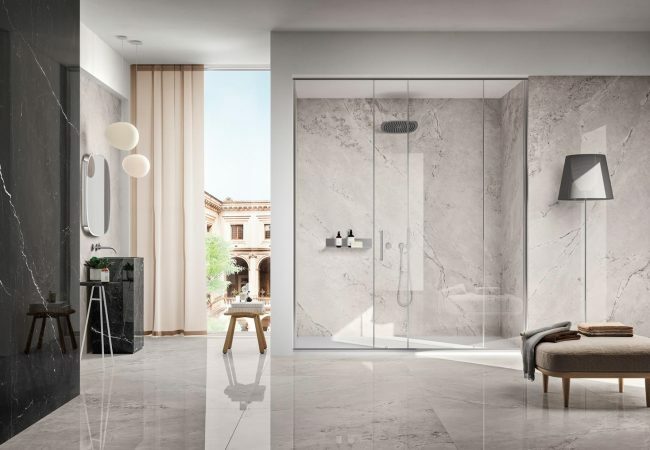 The beauty of large format porcelain is in the elimination of grout, the durability in the long term, and the sophistication and luxury of its visual appearance. 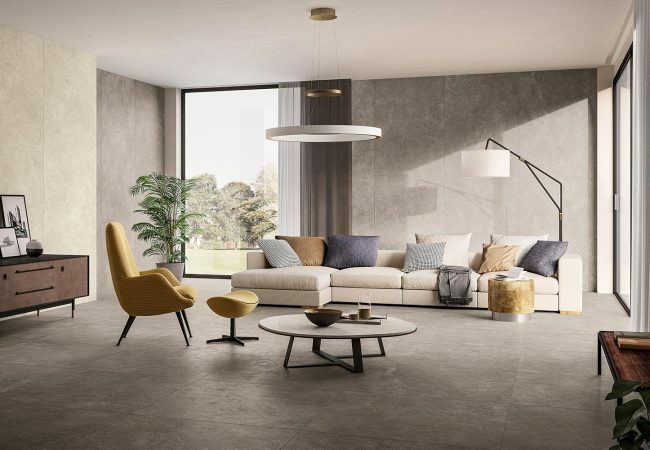 At Pavé we offer a variety of large format porcelain tiles in various sizes including but not limited to 2.4x1.2m (6.5mm), 2.6x1.2 (6mm) and 3x1m (5.5mm) sheets which come in an array of colours, tones and variations. 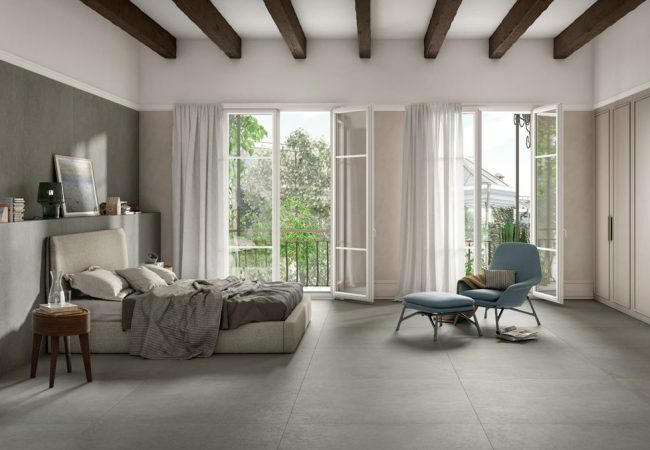 Large format porcelain is definitely a growing trend in both residential and commercial use due to the benefits of its lightweight characteristics and of course, its porcelain advantages of being nonporous and scratch resistant. It is a superior product with an immense amount of options for its use. To learn more about our large format porcelain sheets, come into our showroom, see our panels on display and find out more information.